What you see here is the 2015 Cadillac ATS Coupe. Well, not really, that's just a pretty great photoshop that I made. Fooled you, right? Let's see if you can do better. GM has announced that Cadillac's big debut at the Detroit Show next week (barring a debut of an ATS-V), will be the ATS coupe. So far, we've seen literally none pictures of Cadillac's BMW 4-series fighter. Let's see if we can make a mockup of the ATS Coupe that'll make the reveal irrelevant. So, take an image of the current ATS (here's a great source) and coupe-ify it. Remember that Cadillac really differentiated the styling on the CTS Coupe vs. the CTS, so just deleting the B-pillar won't fly here. 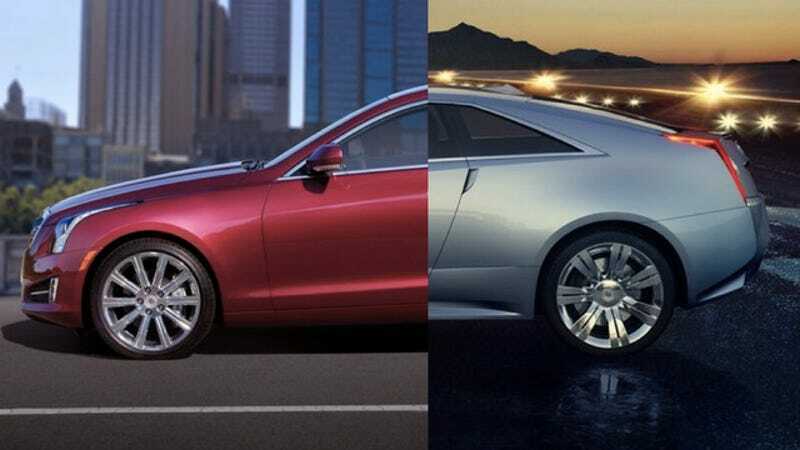 Get your photoshop machines started and show us your best interpretations of Cadillac's new coupe in the comments.